Scuba Adventure’s delicious Cuisine is included in the cost. 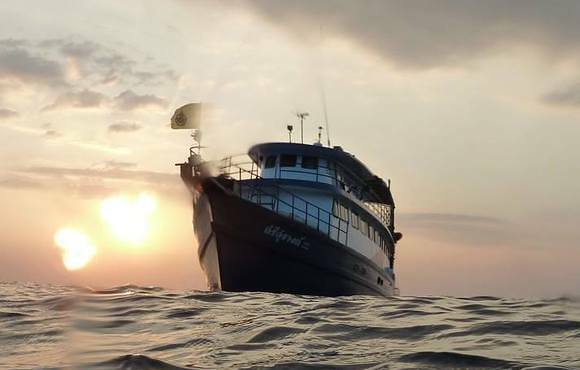 Three meals a day are served buffet style along with a light breakfast served before the first morning dive, another snack before second afternoon dive and again after the night dive. Coffee tea and water are provided throughout the day. 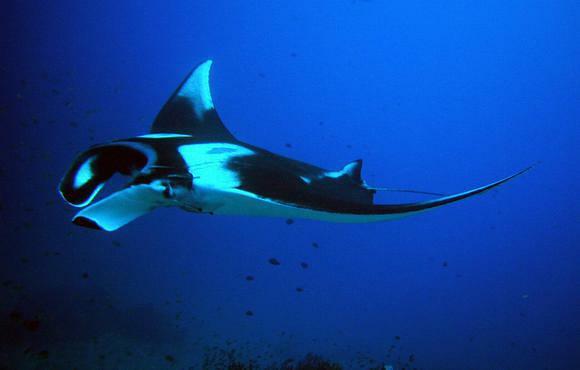 A small charge will be made for soft drinks and beers after the days diving. 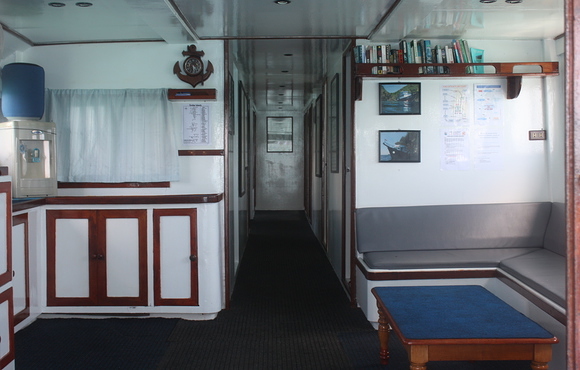 MV Scuba Adventure has a complete supply of first aid equipment, including a DAN oxygen kit with Demand Valve and Large Oxygen Supply. 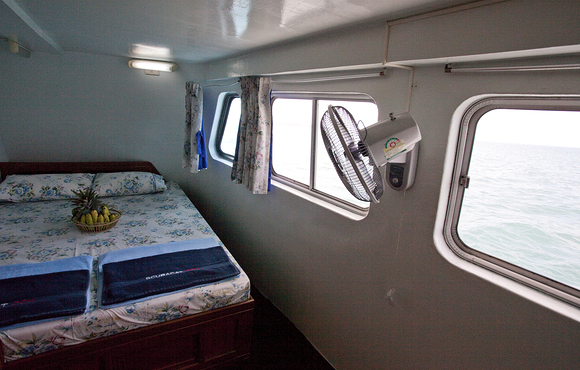 Life raft for 25 persons. The crew are able to communicate with the DAN hotline if an unlikely but necessary circumstance should arise. 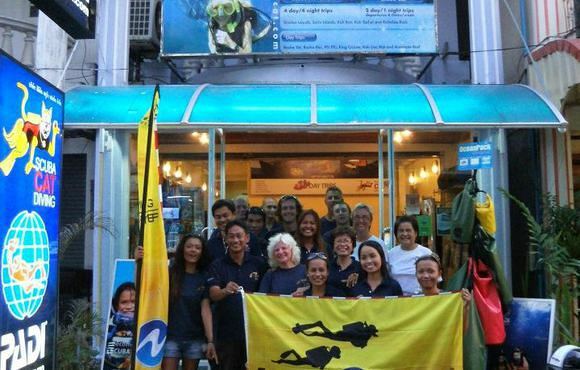 Scuba Cat is affiliated with two re-compression chambers in the Phuket area. 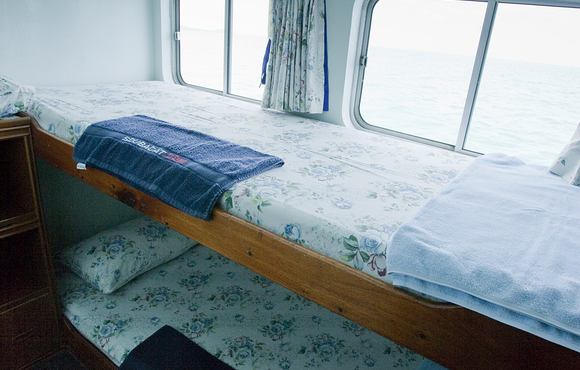 Price based on a twin share cabin, For a double bed cabin add 500thb per nigh. Book any 2 trips and get a 10% discount on the total price. 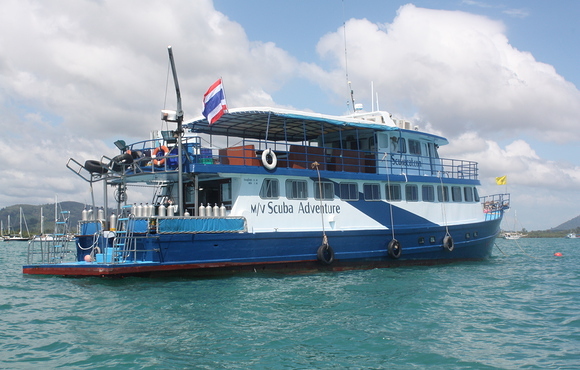 Scuba Adventure is truly a comfortable vessel, comprising 5 twin cabins, 2 double cabins, all with individually controlled air conditioning accommodating a maximum of 12 guests. 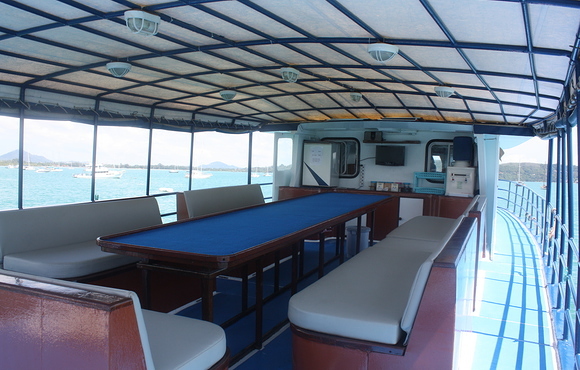 The covered deck is the place to relax, to enjoy a movie or read a book or discuss the dives with your buddies. 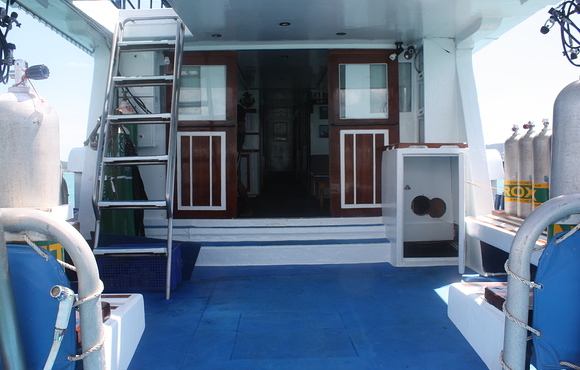 The dive platform is compact but spacious and well organized which makes it the ideal platform to enter the magical realm of the Andaman Sea. 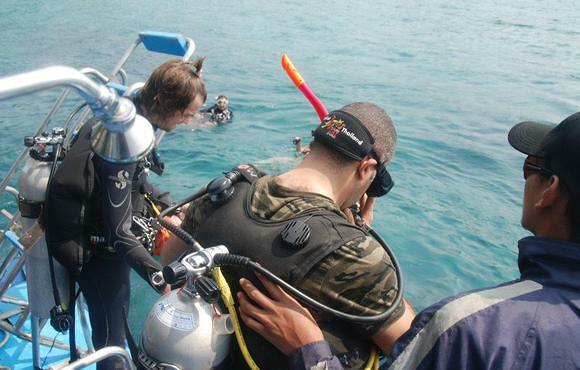 Scuba Cat Diving, Phuket, Thailand pride ourselves on catering for the individual beginner diver to the most advanced technical diving addict.